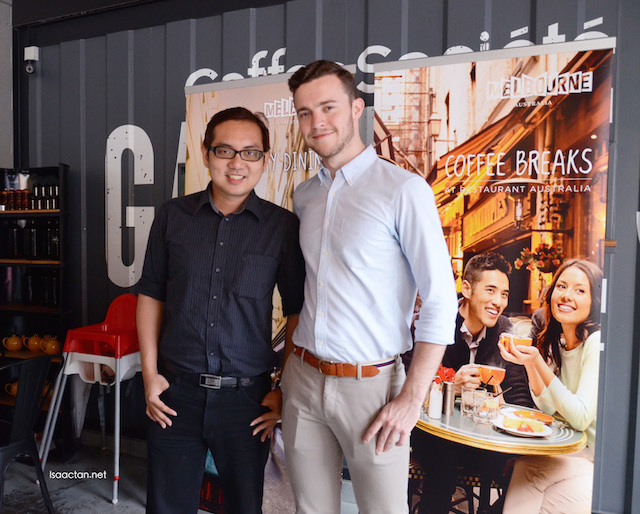 It was a eye opening experience last weekend at Garage 51, where I got to meet Matt Perger, St Ali’s head of coffee, who is the two-time Australia Barista Champion (2011 and 2013), World Brewers Cup Champion (2012), Runner-up at the World Barista Championship (2013) and World Coffee in Good Spirits Champion (2014). 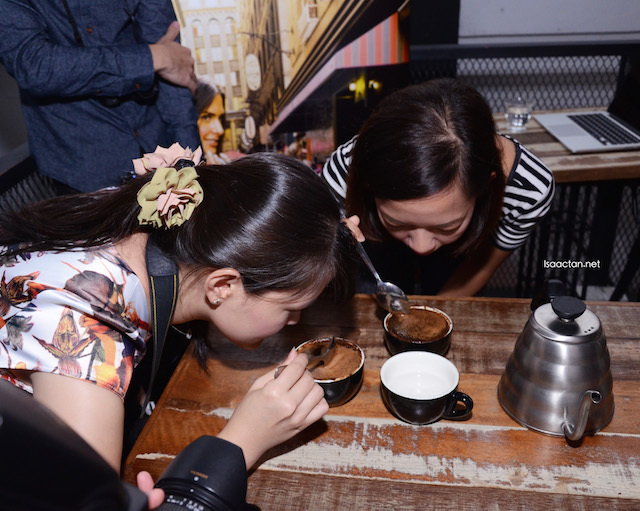 Tourism Victoria has collaborated with one of Melbourne’s pioneering coffee specialist, St Ali, and Malaysia’s very own Melbourne-inspired and award-winning cafe Garage 51, to present an exclusive coffee masterclass and promote Melbourne’s world acknowledged coffee culture. 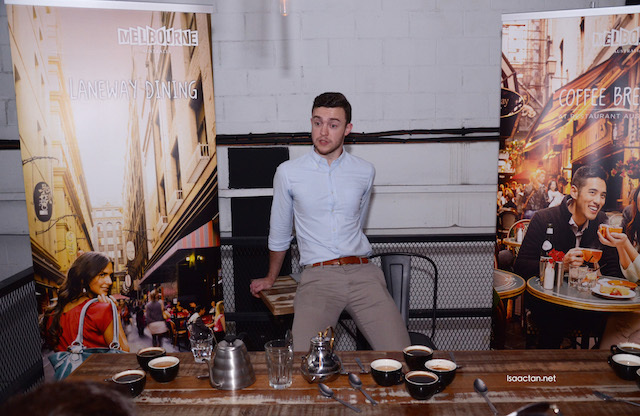 St Ali’s head of coffee, Matt Perger led a coffee masterclass at Garage 51 that morning to share his coffee expertise with an intimate audience (us!). St Ali’s masterclasses are notoriously in high demand, with workshops being sold out at St Ali’s previous pop up stint in Gangnam, Seoul. 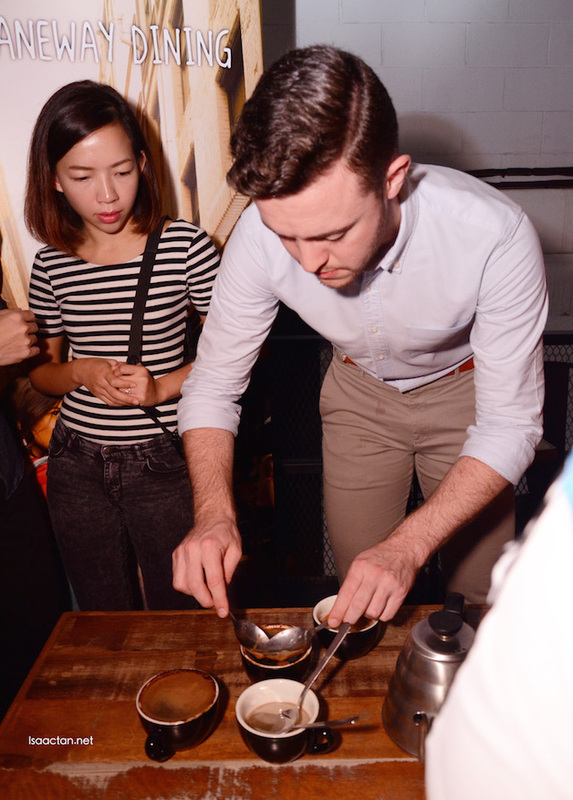 Over the course of 90 minutes, Matt went with the audience through a journey on the origin of coffee and give a quick crash course on the process of coffee from the tree to the cup. 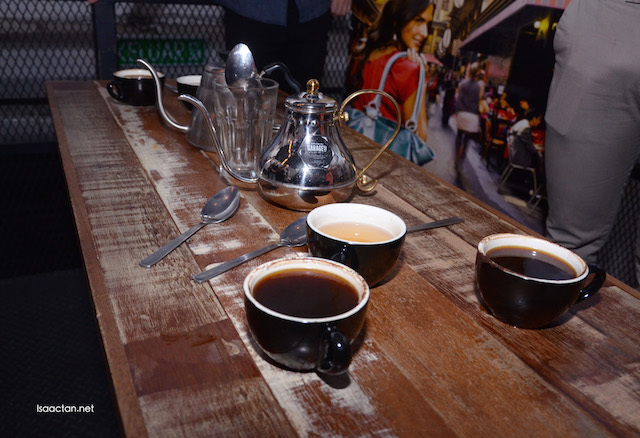 We learnt about the differences of roasting profiles and how it affects the taste and enjoyment of a brew. 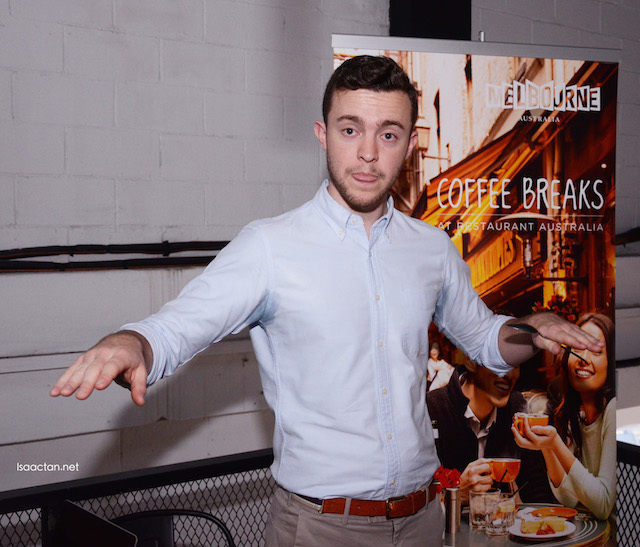 Geared towards an audience who is interested to delve deeper into the world of coffee, Matt hopes that every attendee leave with a finer appreciation of coffee through his informative and interactive talks. Some notes which I managed to take down early on in the masterclass with Matt Perger, I'll share it below, before I had to keep my notes and went ahead to do 'hands-on' with the class. The roasting process creates the chemical reaction, to create flavor we know as coffee. Roasting flavor ideally should be transparent. If it’s over burnt, ash taste, the roaster has taken it a bit too far. Different styles from different roasters, still experimenting. There’s a certain temp range, and time. Certain progression, style and speed as well. - darker, coffee gets darker, caramel will reduce, instead of sugary it becomes toffee. Farm and roaster should be good, as you cannot fix it via the brewing process. - taste coffee, strength (concentration) versus intensity of the coffee. 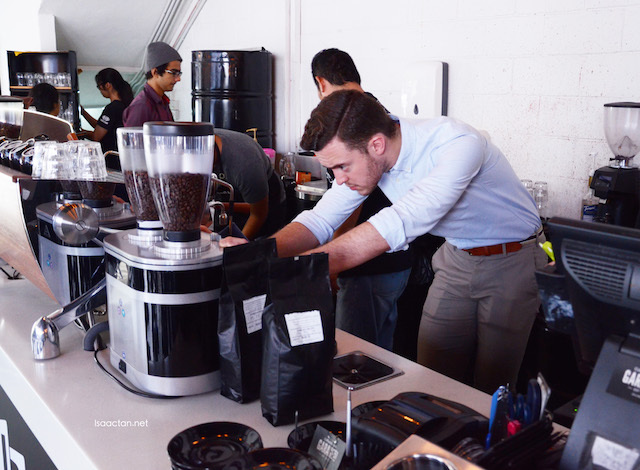 Aside from the masterclass, St Ali also took over Garage51 for two days from 13 to 14 June, from 11:00am to 2:00pm. 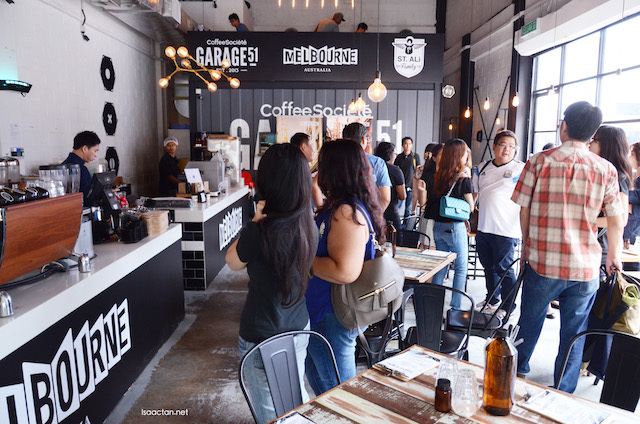 Matt Perger personally manned the counters at Garage 51 and served up handcrafted beverages so Malaysians could discover for themselves why Melbourne has been dubbed the coffee capital of Australia. Handsome!!! Ummm...that guy, not you! Muahahahaha!!!! !